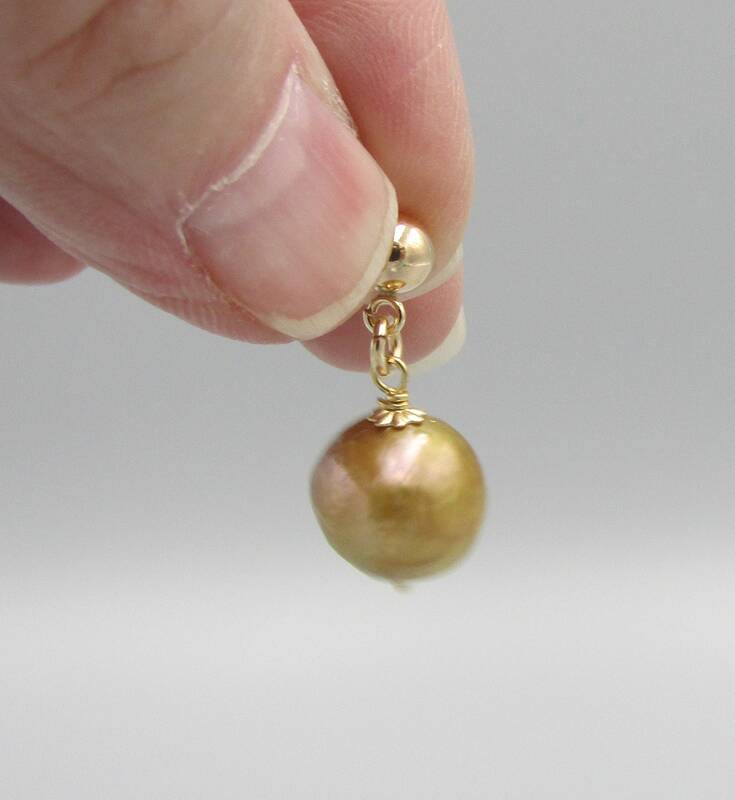 These stunning gold pearl stud earrings are created with a round light golden bronze 11mm rippled freshwater pearl and 14K gold filled stud earring. 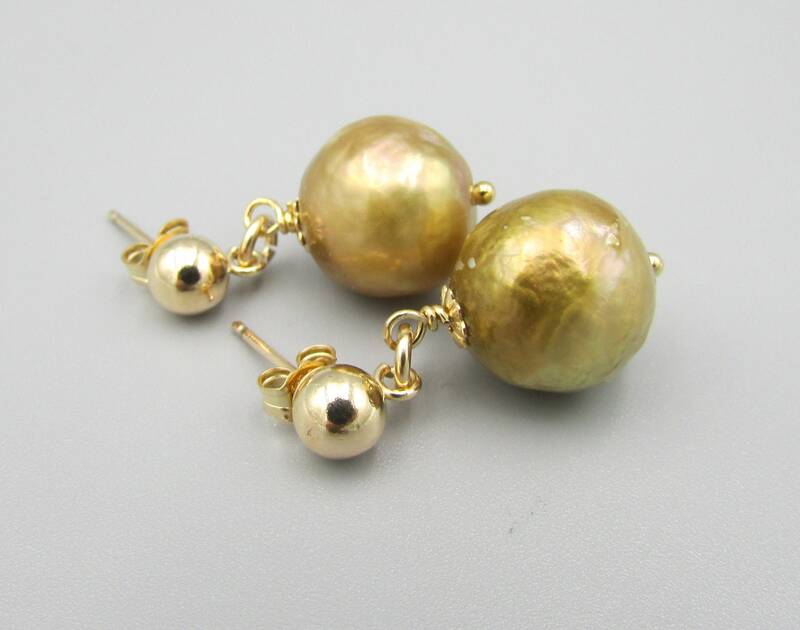 Beautiful and classy, these drop earrings are perfect for all occasions. 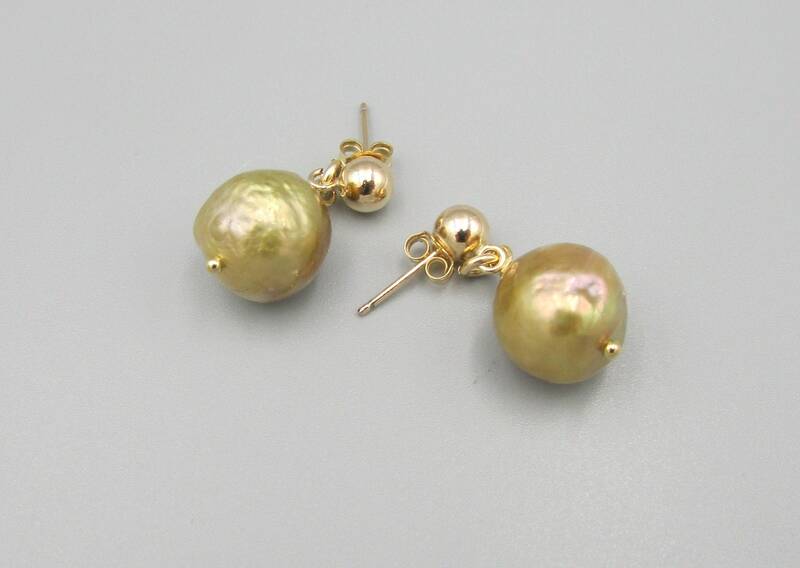 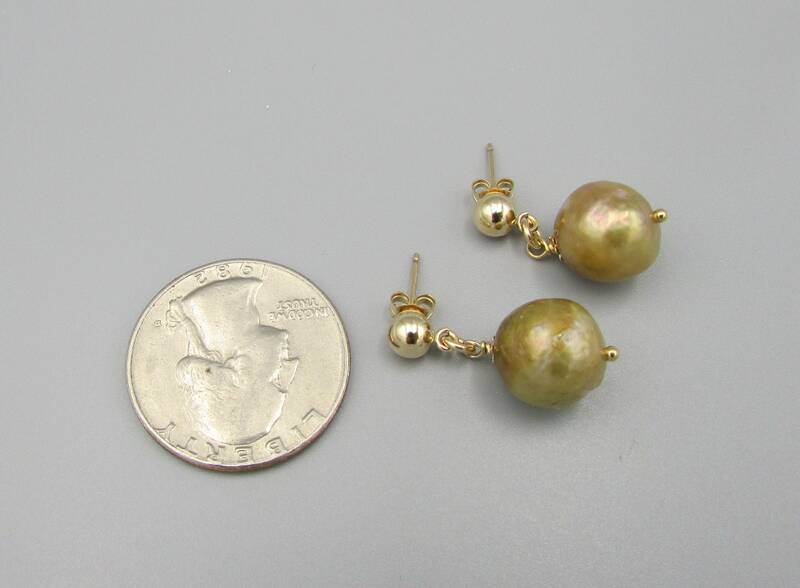 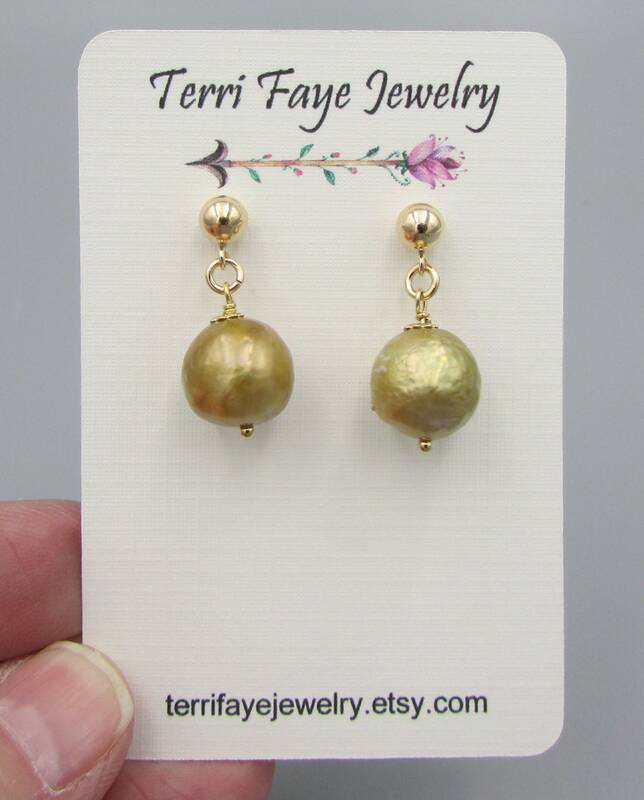 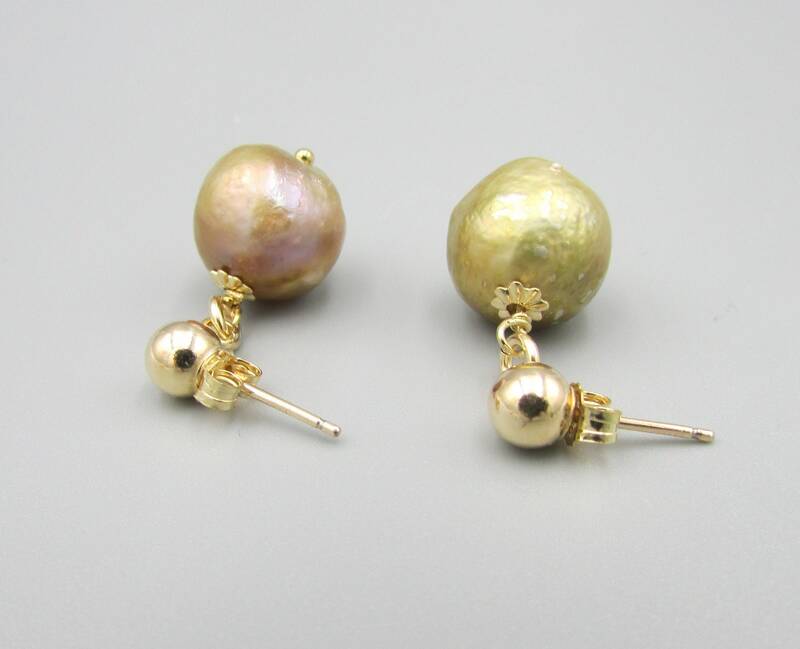 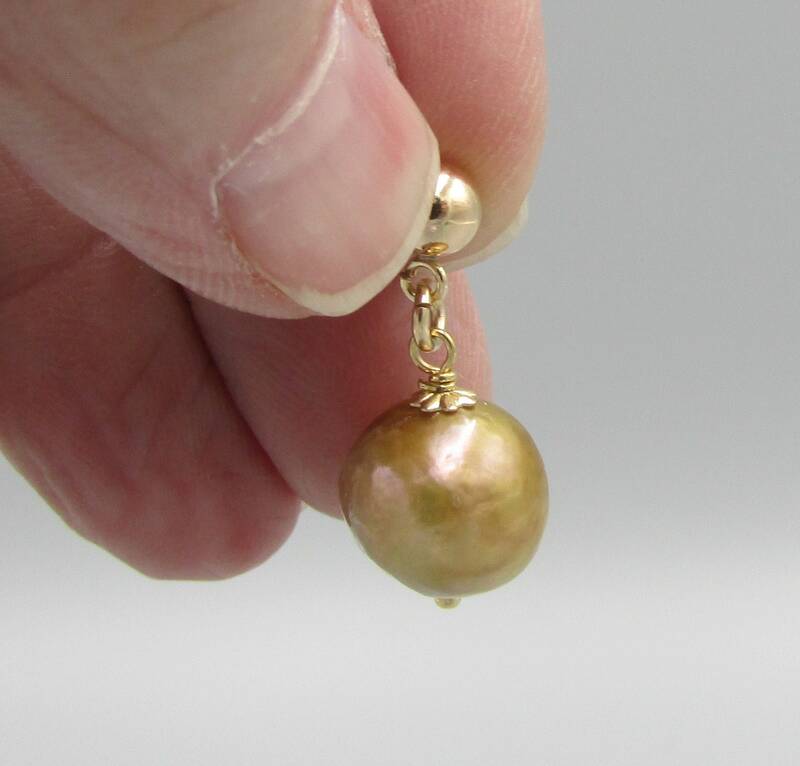 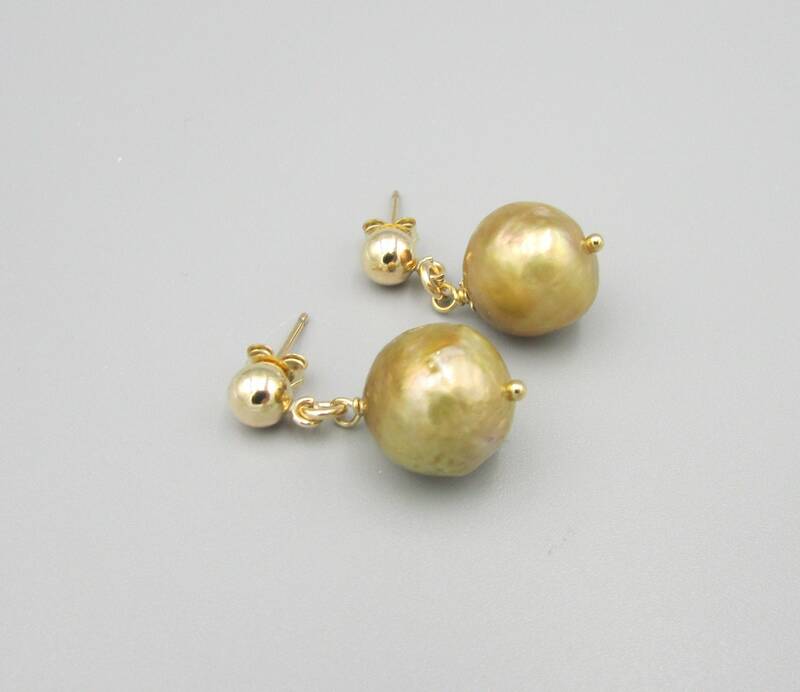 The pearls have a wonderful shiny luster and go perfect with gold.